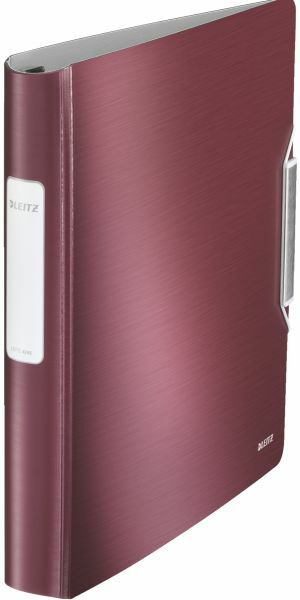 Enhanced and distinctive ring binder with a soft brushed finish and in a sophisticated range of colours - arctic white, garnet red, celadon green, titan blue and satin black - complementing silver frame. Lightweight material and ergonomic design for easy handling of documents on the move and in the office. This is a 30 mm 4D ring binder with a soft brushed finish.Lightweight polyfoam material and ergonomic design for easy handling of documents on the move and in the office.